Dr. Rebecca Siders is a passionate human being with varied interests that center around making the world a better place, inspiring people in her company to reach new heights, and challenging herself to continually live outside her comfort zone. She currently serves at Navy Cyber Defense Operations Command (NCDOC) where she is leading many lines of operations to include the command’s Culture Club, focused on shaping behavior and the work environment so that members of the command reach their collective potential. On February 10, 2016, Sean Heritage posted Belonging, that resonated with me on so many different levels. While I appreciate his thoughts on belonging to a team, I want to complement that post with a different and personal perspective – one that offers value to the one who does not necessarily belong to a team. I will call him or her, The Stranger. I realize that we do not think fondly of “strangers”. They are different; they are strange. We are socialized and accept the norm that strangers may mean danger. 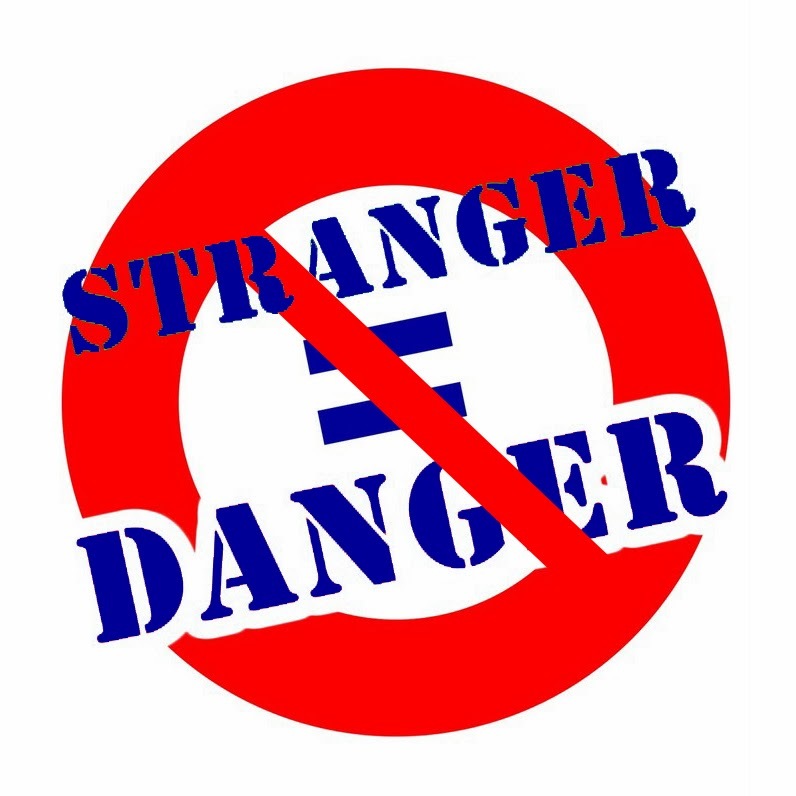 Take for example, the modern phrase of “stranger danger” intended for children to yell when they see someone they do not know. Although there is good reason for this in a different context, my purpose here is to provide a viewpoint about the value of the stranger to a team. Let me offer different concepts of the stranger as proposed from classical philosophers, and I believe their value will become apparent. The German philosopher, Georg Simmel, wrote about the stranger who comes today and stays tomorrow. This stranger is the “outsider” or the “potential wanderer”, whose interaction with the team is characterized by a mixture of objectivity, participation and freedom, by nearness and distance. This stranger has just arrived from a distant location and brings with him that new perspective and sense of hope that comes with change. I believe many of us relate to this stranger every time we get a new job, or arrive from a different command. We approach our new position with hope and bring with us all of our previous experiences and knowledge. Thus, we are well positioned to understand the new team with the “outsider” perspective. Another stranger, offered by Alfred Schutz, is described as the “ immigrant”. He has also migrated from a different location, and tries to fathom the taken-for-granted knowledge of the new team. The immigrant tries to be permanently accepted or at least tolerated by the group as he deals with the issues of new organizational culture. He typically suffers culture shock due to his previous culturally bound thinking. In addition, he struggles with his relevance as he feels irrelevant within the new team simply because of his dislocation. He is for the time being, not at the center of his environment, and is simply not at home. Personally, I related to this stranger since coming to NCDOC. My background was not military or government civilian and assimilating to this kind structure, adapting to the military (acronym) language, and overall command culture has been a struggle for someone who came from academia and health care in the private sector. I truly felt like an immigrant in this new environment and I struggled to find my relevance on this team. The value of an “immigrant” is that I can view my places of origin with a new perspective. What I find is that in both my institutional work settings – nursing homes and government – life seems to suffer from what Bill Thomas calls the “plagues” of institutional life. These plagues – loneliness, helplessness, and boredom – account for the bulk of suffering in a human (institutional) communities. I saw these plagues infect the residents with whom I cared for, and I personally experienced it at NCDOC, as well as witness it among some of my current teammates. As an “immigrant” stranger at NCDOC, I can then view my nursing home experiences with a different viewpoint, one with more hope in culture change of institutional life. Although I have worked at NCDOC for a few years now (almost 5), I continue to feel like a stranger at times; however, it is quite different. This stranger has a creative and fresh perspective in which my previous dislocation is now the instigator of a new vision, of original thought, and more importantly, of culture change. However, this kind of stranger is not reflective in the “outsider” nor the “immigrant”. Therefore, I look to Lesley Harman’s “modern stranger”. She is “an insider actor with an outside glance”. She is not characterized solely by geographical displacement (i.e. arrival, immigration) or by marginality by virtue of “foreignness” (strangeness to the organization). More importantly, the modern stranger has the ability to operate with reflexivity — this is when the change process itself is the focus — the awareness of situational dynamics. It is when the modern stranger and teammates are jointly involved in making institutional and cultural changes. This reflexivity and co-production of change and co-production of knowledge is what Harman would refer to as “discursive strangeness”. In the end, the modern stranger has the ability to distance herself from the team and yet, at the same time retain team membership. For me, the sense of belonging to the NCDOC team has changed and is not as strong as it once was, not because I no longer desire to belong to it, but simply because I have fully embraced the value of being a stranger. In fact, I relish in it. I may still use the perspectives of the “outsider” and “immigrant” at times, but what I find more recently is that my approach is more reflexive with “discursive strangeness”. I am proud to be part of the NCDOC team, and furthermore, I now know that my value and relevance is when I am actively a co-producer in the change-making process, a co-producer in the generation of command knowledge, and a co-producer in shaping the command culture… as a modern stranger. When was the first time you were an “outsider” and provided value with this perspective to your new team? What experience as an “immigrant” made you reflect back to a previous “home” with a new perspective? Are you currently a “modern stranger”, operating reflexively with discursive strangeness?